I just wanted to give you all an update on little Sam. �He is doing some better. �He still has a long way to go but is much improved from the other day. �He managed to come through it without a hospital stay which is a good thing. �We so appreciate your prayers and ask that you would please continue to pray for him. �I just got a call from Jess and she is on her way to the doctor with Katie. �She is congested and running a fever. �Please include Katie and Jess in your prayers. �David is gone to Vegas so Jess is holding down the fort alone. �I think the keeper of the fort could really use some prayers.. Yesterday, we went bowling with the Horns. �We had a great time. �I think I have mentioned this before, our bowling alley does a thing called homeschool bowling. �The first Friday in every month, homeschoolers can bowl for $l.50 a game and the shoe rental is free. �We are hoping to do it again next month. Today is fairly nice here in Floyd. �When we first got up, the temperature was 19 with a wind chill of 9 degrees. �It has warmed up to about 25 degrees now and we have sunshine. �Not too bad for January. Well, I hope you all have a great day. �We are planning on doing a little housecleaning and working some on the chicken nests and lot area. �Kinda a slow day. �Tomorrow the girls will be doing all the music for church. �Our piano player is gone on a little vacation so the girls are doing the music. �Grace is doing the congregational for Sunday School. �She is playing “What a friend we have in Jesus”. �She is also playing the doxology and a congregational for worship service-“Rock of Ages”. �Julie is playing “Sweet Hour of Prayer” for her congregational and “Softly and Tenderly” for the invitational. �Julie is also doing a special, “The Old Rugged Cross”. �She will be singing and playing it. �BIG DAY! �Pray for them, that all will go well. I guess that’s about all. �Enjoy your day and God bless. UPDATE ON KATIE: �I wanted to let you all know, Katie has the flu. �Jess is supposed to try to keep Katie and Sam apart so Sam doesn’t get it too. �I am going down to help. �It would be so hard for Jess to manage all this alone. � I am thanking you all in advance for your prayers. �God bless. Saturday we went to Tweetsie for the last time this season. �We had a lot of fun. 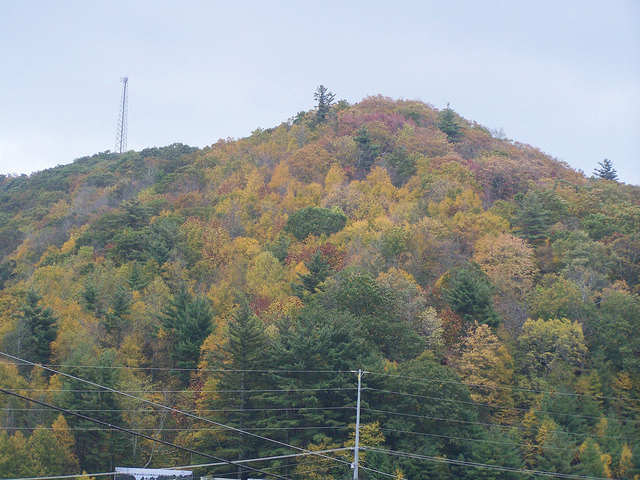 �The fall colors were beautiful! Sam was so excited. 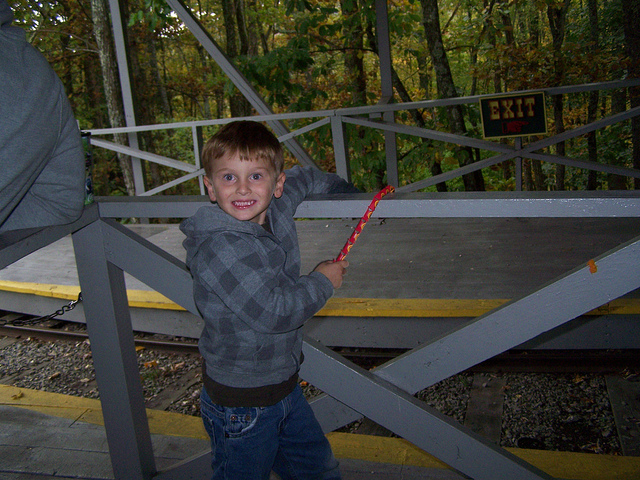 �He loves riding the “choo choo”. Daniel had a great time. 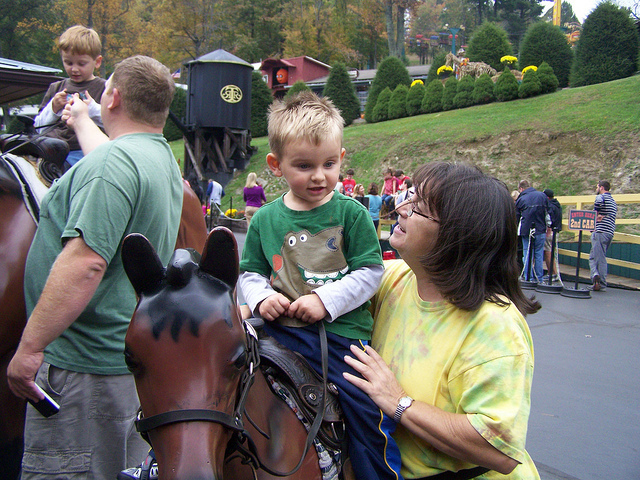 �He loves riding all the rides. This guy has a magic show. �The girls loved it. 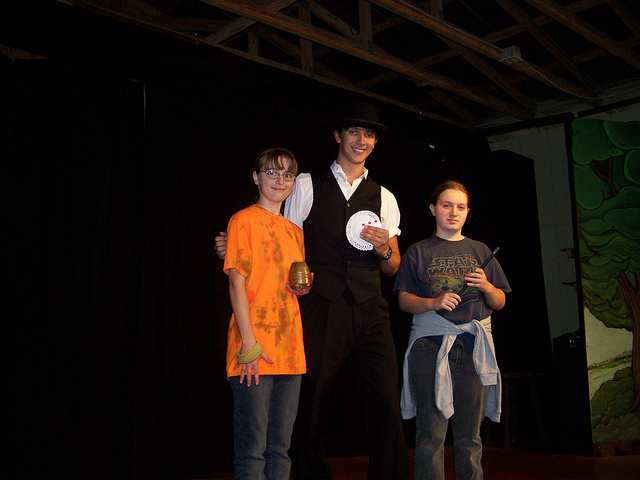 �They have always been interested in magic tricks. Friday we went bowling with the Horn’s. �We had so much fun. �On the first Friday of every month our bowling alley has homeschool day. � They offer discounts on games and shoe rental is free. �We are hoping to get to go again soon. School is going good so far. �Of course, the first week or so usually does as it is mostly review. 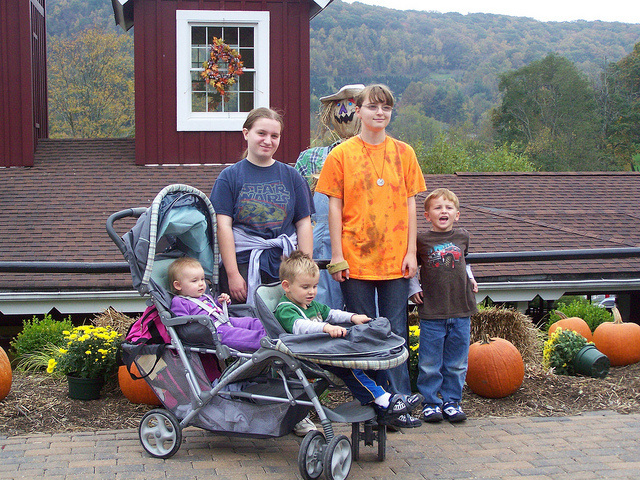 �I helped Hubby yesterday so we took our school to the job site, which is one of the reasons we love homeschooling. Speaking of school, lunch break is almost over so I better get busy. �Enjoy your day and God bless.